Soy crispies made of soy protein, rice semolina, soy flour and salt are suitable for a gluten-free, low fat and protein-rich diet. Soy crispies are a perfect base for muesli, as supplement for sweets and ice cream or as topping for yoghurt or fruit salad. 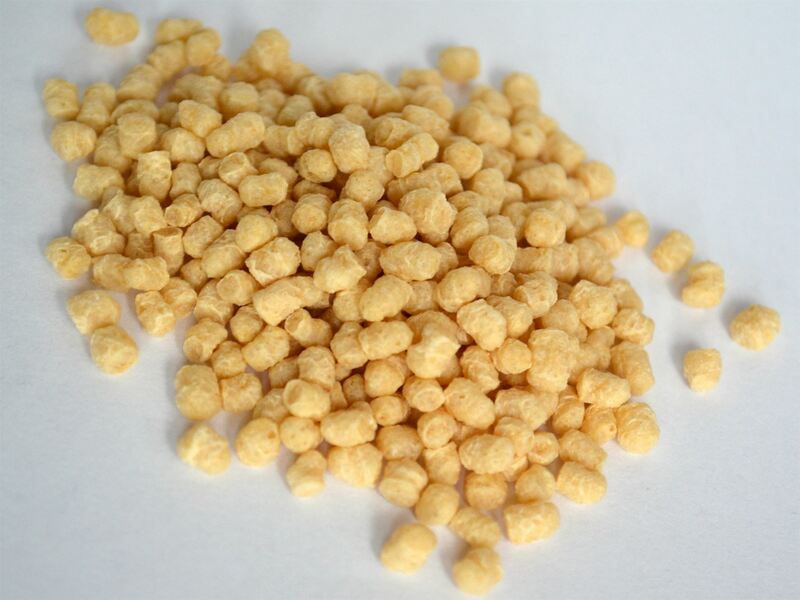 Their high protein content makes soy crispies highly popular with athletes. The soy bean or soya bean is a species of legume native to East Asia, subfamily Faboideae within the family of Fabaceae. As food plant, soy can be verified in the period between 1700 and 1100 BC in North-east China. Today soy beans are cultivated on six percent of the global agricultural land and is considered one of the most important oil seeds. Soy beans contain about 20 percent oil and 37 percent protein. The protein quality is comparable to that of animal protein which distinguishes the soy bean from all other plants and makes it highly popular in vegetarian and vegan circles.